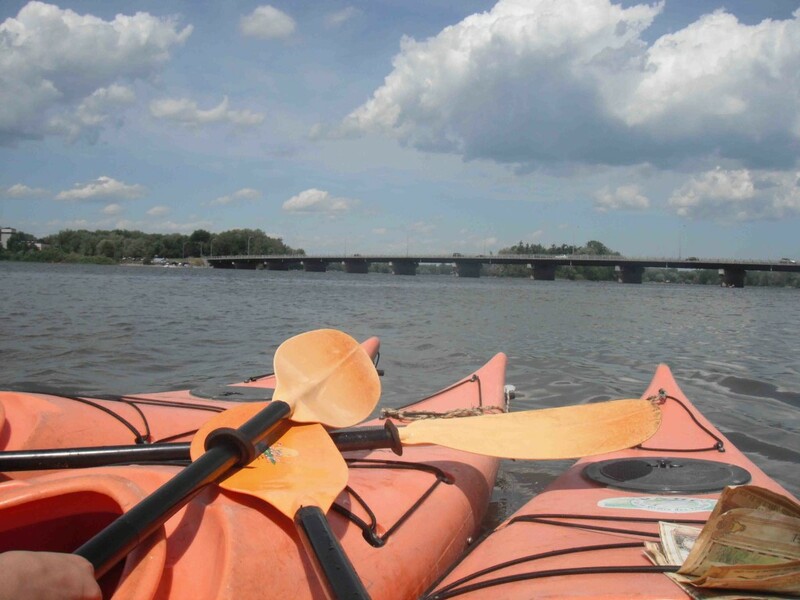 Parc de la Riviere des Milles Illes is the Perfect Place to Kayak in Montreal ! One of my favourite summer activities in Montreal is to go kayaking at Parc de la Riviere des Milles Illes. 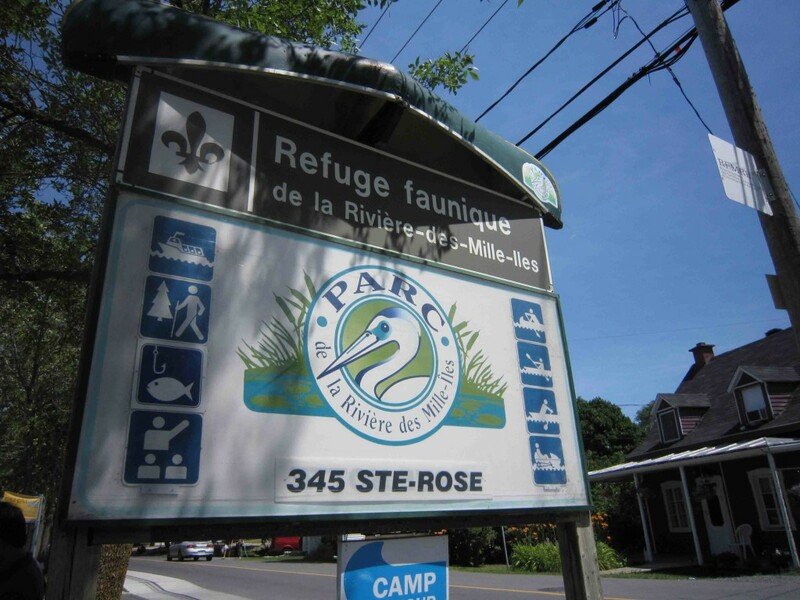 It’s a small park located in Ste-Rose, just 30 minutes away from downtown Montreal. 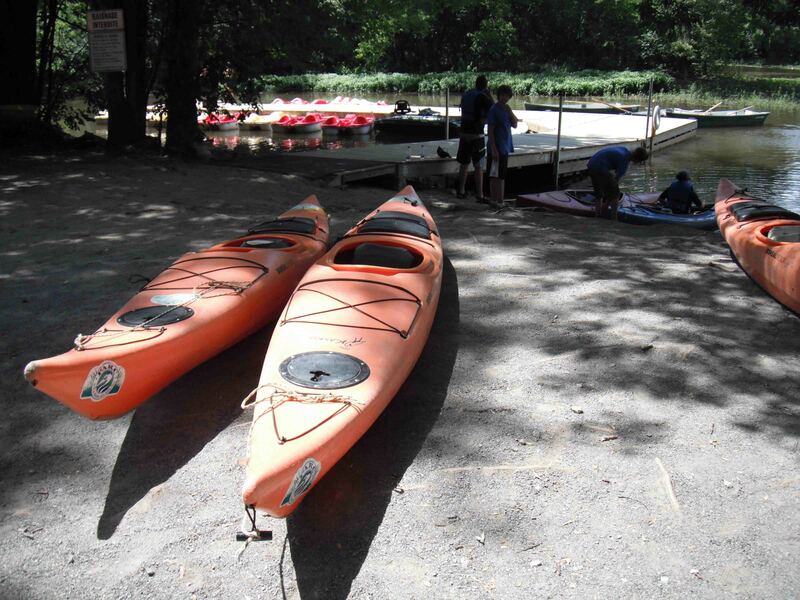 As the name suggests, this park is made up of many little islands so you can kayak or canoe your way around them and you can even park your kayak on the dock to enjoy a nice picnic on the island. It’s a great place to plan a day trip or if you have just a few hours to spare, I would suggest dropping by! I’ve spent many memorable summer days at Parc de la Riviere des Milles Illes with my family. We would usually be a group of 12 and we would pack food and snacks so we can have a potluck lunch there at the park. 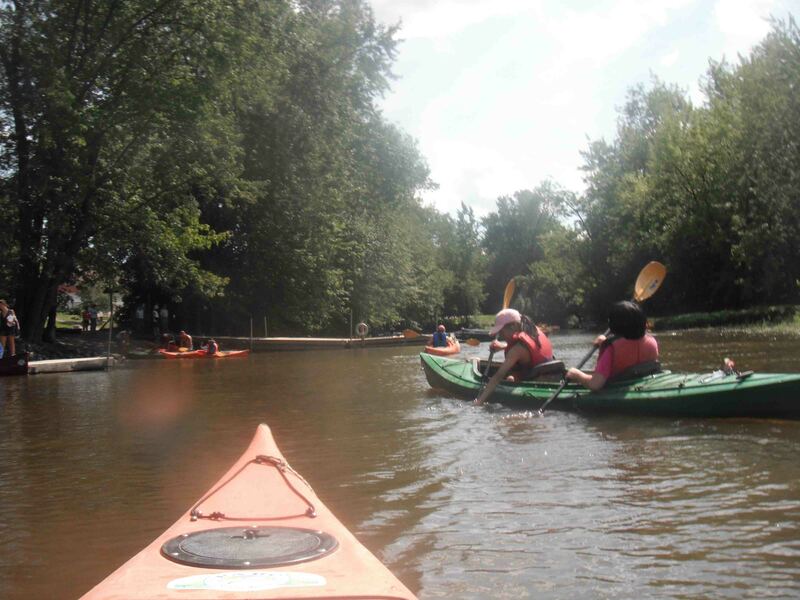 When our tummies were satisfied, my parents would bring all the “younger generation” of the group (aka my sister, my cousins, and me) to the rental store to get our kayaks. The other adults will stay behind while us “kids” would paddle off for a few hours. 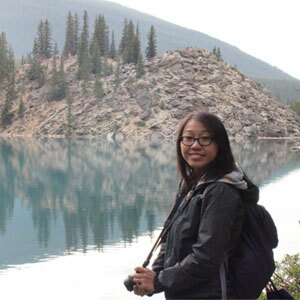 It’s a really cool place because it offers a nice blend of nature as well as the city life. Sometimes, we’d spot some ducks, geese, and herons really close by while in the background, we’d be able to see cars drive by on the bridge connecting Laval to Blainville. There’s a visible contrast but somehow, both worlds are able to coexist, making it quite a unique sight! One time, we’d noticed a duck trailing behind us looking for food. It was really cute until the point it tried hopping on to our tandem kayak! I was scared and tried padding away as fast as I could! Take a look at the video below! 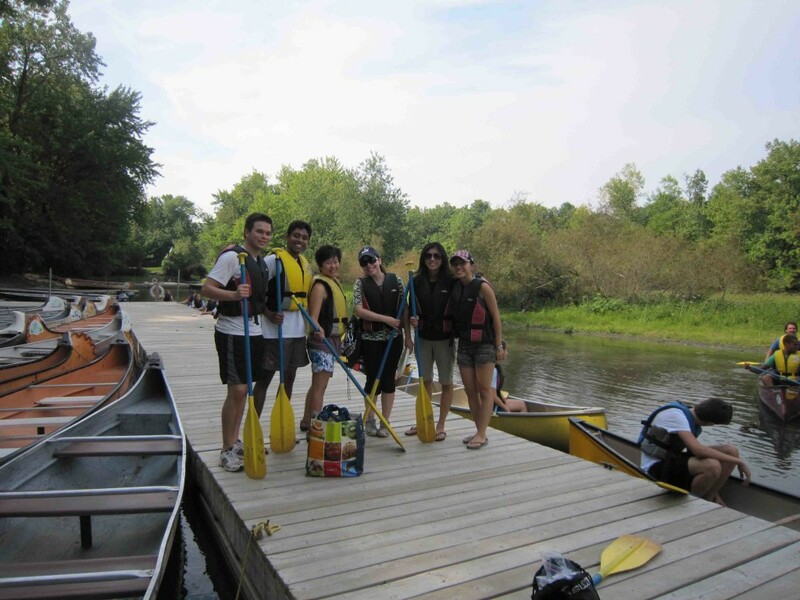 Another time when I had friends visiting Montreal, we rented out a rabaska (a large canoe that can fit between 5 to 10 people) and we had a blast! We packed our own lunch and stopped on an island to have a picnic. It was a challenge to get everyone in sync especially since it was hard to coordinate the paddling with so many people! I think it was all the confusion and screaming and yelling that made this occasion especially memorable! Overall, Parc de la Riviere des Milles Ille is worth a visit and I think it’s wonderful to have a place to enjoy nature so close to home!